The Touch Lucky Casino platform is a rather attractive destination for any novice or experienced player feeling lucky about their online gambling endeavours. With an overall positive outlook, game offering and bonus selection, your money’s worth is guaranteed with this licensed and reputable operator. The site’s recent addition to the iGaming market has left them little time to build up a massive game library, but the titles that are included in the selection still offer the standard range of game titles. Namely, players are able to enjoy more than 100 slot titles provided by NetEnt, NextGen and Nektan’s team of developers, guaranteeing rewarding and reliable gameplay. The selection of table games is scarcer, but does cover the most popular blackjack and roulette variants. Ultimately, scratch cards are added to increase game diversity, and achieve even greater player satisfaction. Considering the fact that Touch Lucky Casino’s game software is provided by leading companies, it is understandable that the website would be highly functional. A simple layout and easy access to all key segments makes it optimal for any player profile, while its multiple platform compatibility allows players to access it both from Windows and Mac PCs and mobile devices running Android and iOS operative systems. Touch Lucky Casino is owned and operated by the highly reputable Nektan online gambling company based in Gibraltar. Due to its transparent and reliable operations, it has managed to get a license to operate both from the said government authority, and the Gambling Commission of the UK. Their licenses guarantee security, unbiased game outcomes, reliable customer service and support and generally a beneficial online gambling experience with the given licensee. As any other No Deposit Bonus, this one does not require players to fund their account in order to qualify. At Touch Lucky Casino, this offer is eligible to novice players who have just registered on the platform, but still haven’t made an initial deposit to their account. The bonus consists of 10 free spins on the Starburst slot with a 7-day validity period, claimed using an SMS validation process. The winnings from this bonus are capped at 4x the bonus amount expressed in cash, and players have to redeem them by complying with the 100x wagering requirements. Click here to claim your 10 no deposit spins on Starburst! Players who have just registered at the Touch Lucky Casino will become eligible for the full benefits offered by the operator’s Welcome Bonus. It is structured as a deposit bonus match of their three initial deposits at the platform, as well as 50 free spins on one of NetEnt’s most popular slot releases Starburst along with the first deposit bonus portion. 3rd Deposit: 50% deposit match up to £250 bonus cash. 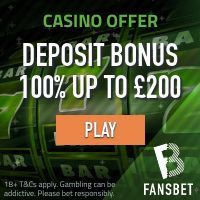 An important consideration to bear in mind is that players will need to deposit a minimum of £10 to qualify for the said bonus. Winnings are capped at 4x conversion of the actual bonus amount, and in order to be redeemed, players will need to complete the wagering requirements, i.e. to wager 30x the deposit + bonus amount. Banking at the Touch Lucky Casino is fast, reliable and rather varied, allowing players to choose from a wide range of payment processing services in order to fit their specific needs. Deposits can be performed using any of the following options: Visa, MasterCard, Maestro, Skrill, Neteller and Boku, with a minimum limit amount of £10 across all services. Withdrawals are performed using any of the aforementioned payment processing options as well, with a minimum limit of £10, and a maximum of £20,000 per week for all methods except Neteller and Skrill – £10,000. Online video slots at Touch Lucky Casino are provided from the companies mentioned above – NetEnt, Nektan and NextGen, meaning players are likely to expect quality and rewarding gameplay. Titles include top leading games such as Starburst and Guns’n Roses from NetEnt and the Foxin’ Wins series from NextGen, with a reputation and popularity speaks for them.